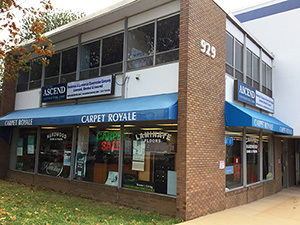 Carpet Royale & Floor of Falls Church, Virginia has been serving the Northern Virginia area since 1983. We carry top quality carpet, hardwood floors, luxury vinyl and laminates, and other flooring. We are licensed, insured and bonded, with financing available. Investing in your home during these economic times is one of the best investments you can make. Beautify the rooms of your home for a lasting quality and style that will ensure comfort for your family. 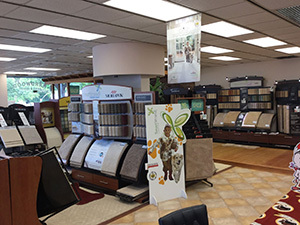 Our Falls Church, VA location provides quality carpet and flooring to all of Northern Virginia including: Fairfax, Annandale, Oakton, Vienna, Tyson's Corner, McLean, Bailey's Crossroads, Shirlington, Arlington, Merrifield, and surrounding areas. We are just a short drive from each of these locations and we have friendly, knowledgeable staff standing by to assist you. 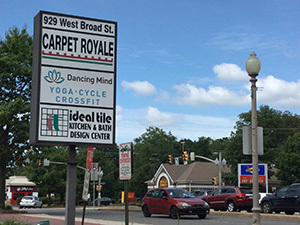 With large selections of samples and several experienced, practiced installation experts, Carpet Royale & Floor is the perfect choice for your next flooring project. At Carpet Royale & Floor, we provide quality installation. Our installers have years of experience and practice with every kind of floor. For more information on installation, please call 703-237-9411 to speak with a store representative today.